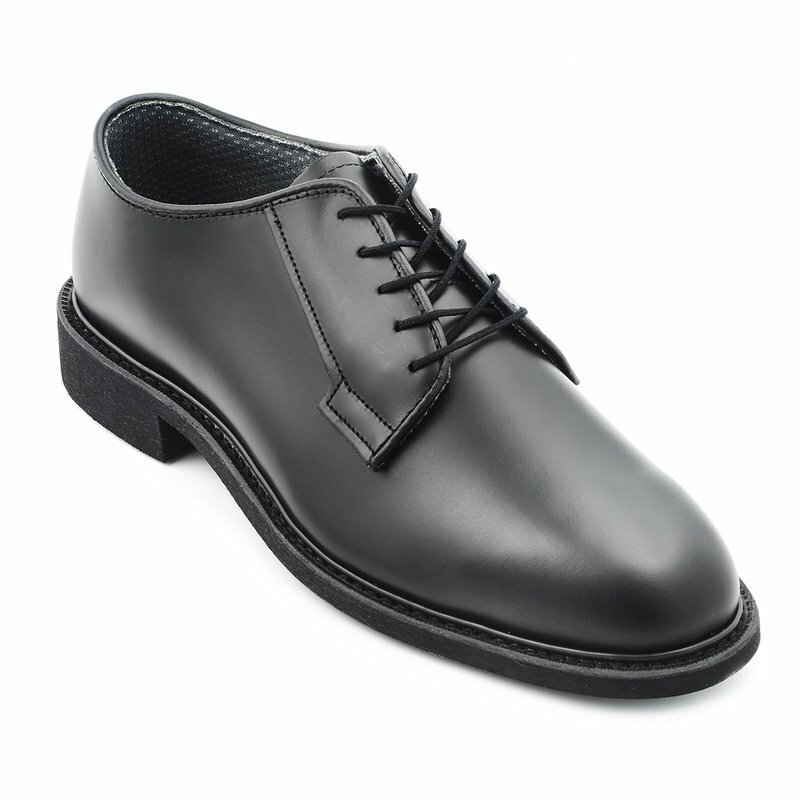 The men's black dress leather plain toed oxford, laced and made of smooth or synthetic leather. The heel shall be an outside heel 3/4 inch - 7/8 inch high with a flat sole. Easy to polish featuring a long wearing Vibram® rubber outsole. 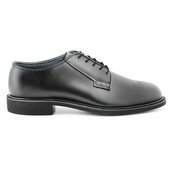 The shoe should be fitted comfortable without the heel slipping when walking or tightness across the top of the foot squeezing the toe. 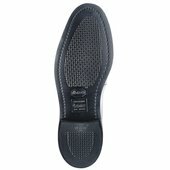 To ensure a proper fit the brannock device® located in the stores can be utilized.